Please contact Kris Fix, LEAP Program Director, for individualized pricing information (phone: 770-645-2673 ext. 238 or email: kfix@eatonacademy.org). 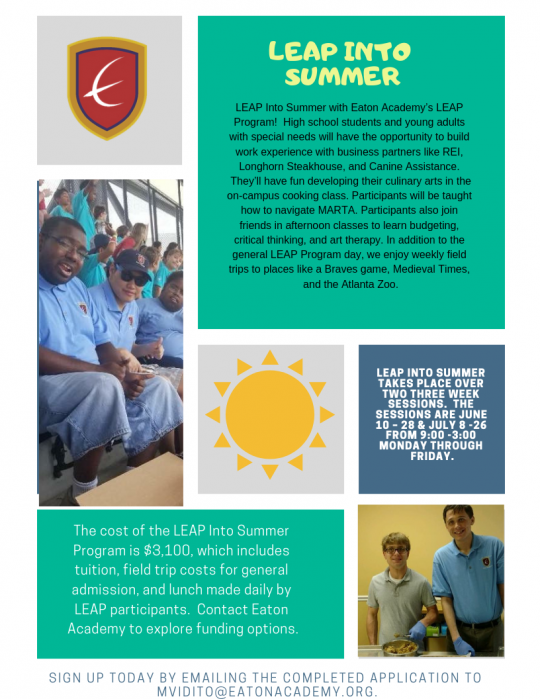 For other program fees, please contact us by phone at (770) 645-2673 or email Brian Uitvlugt at brianu@eatonacademy.org.